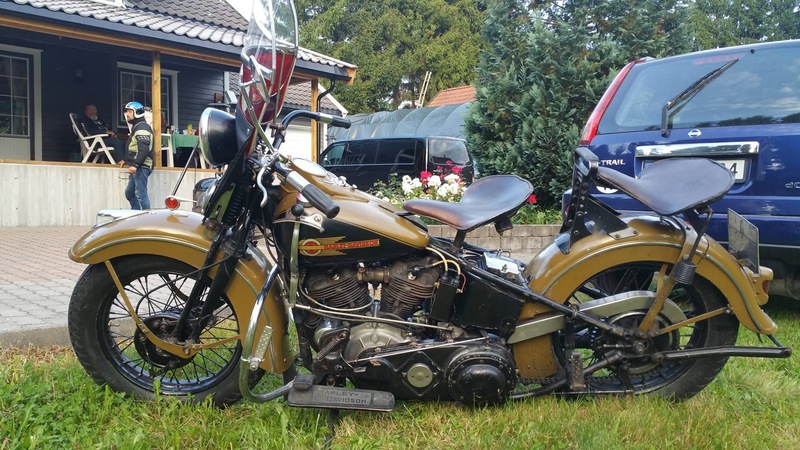 American Motorcycles Norway / Veteran-Mc.com: A 1939 61" / 1000cc Knucklehead Special Sport Solo named Hans! 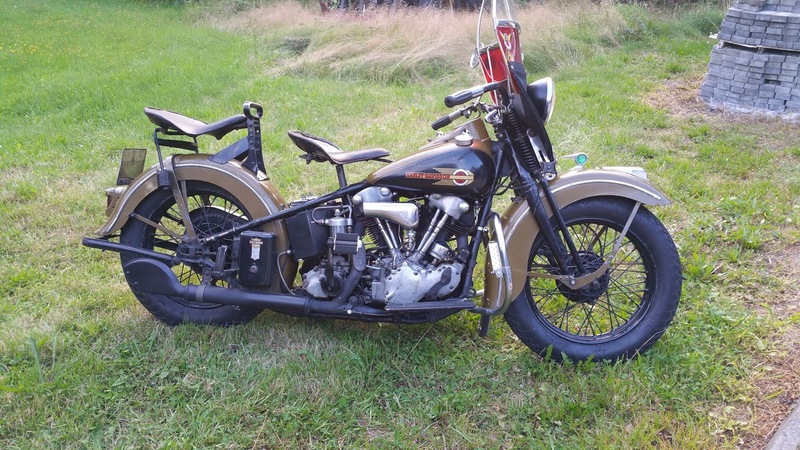 A 1939 61" / 1000cc Knucklehead Special Sport Solo named Hans! OK, why is my 1939 EL Knuckle called Hans, you might ask. The obvious cause is Hans was the name of the guy that bought this motorcycle back in 39, just before the WWII started, tough times indeed to invest in such an expencive motorbike. Hans was the one that hided the bike away in Sweden during WWII, to prevent the enemy in enrolling it to their forces as they did with most vehicles and motorbikes. And he was the one that kept this bike untill his passing in the late seventies and took such a good care of it, that it still have it`s original paint and most of the parts that it came out of the factory with. He must have been very-very fond of his bike, no doubt about that. The second owner Per continued the heritage of maintaing this jewel until he recently passed it on to me, an honor indeed. OK time flies fast and there have been other projects, but finally I have got Hans mechanical sorted as well as adjusted so that he now works as good as a swiss watch. Having spent some time on the road with Hans my impression is; what a great bike the factory was able to make back in 1939, almost 80 years ago. The motor is very strong, easy reving and runs oh so smoth, and the bike handles very well on curvy roads with its 18" wheels. I look forward to getting to throughly know Hans through many many mil on the road ahead. All EL`s off 1939 where high compression models. Among the 39 EL`s "one year only details where the Linkert M5 and the four speed gearbox with neutral located between second and third gear, and the tank mounted shifter gate for this.